In keeping up with the highest standards of luxury living at The Solaire, TechDad is now your exclusive technology partner. TechDad’s custom-tailored tech support services are a great way to upgrade to a smarter home and live your best techlife. 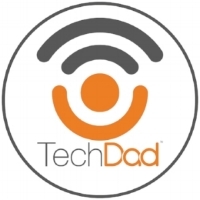 Book a FREE tech-makeover consultation and TechDad will send a trusted tech expert directly to your door! They will review your current technology setup, test WiFi speeds, and make thoughtful recommendations for improvements and upgrades. Solaire residents receive exclusive pricing packages for NYC’s most comprehensive audiovisual and tech support, installation, and tutoring. Transform your techlife with a quick phone call or email, to schedule a consultation or installation. After the work is done, you will always have access to patient (and fun!) experts who will provide tech hand-holding and advice whenever you need it.